Fishing is all about the choices you make. There are many variables, but in carping one of the key decisions is whether to present your hookbait on the bottom or just above it. All rigs can tangle or get caught on detritus as the lead plummets through the water, but the buoyancy of a pop-up bait is much more likely to suspend your hook away from such problems. The distance between the lakebed and the bait can be infinitely tweaked, but do wise carp find a ‘hovering boilie’ suspicous? TO BLEND IN OR STAND OUT? The problem with pop-ups is that every single one of them is attached to a hook. Your free offerings cannot be suspended off the bottom like the hookbait and some anglers believe this means they stand out like a sore thumb. Conversely, standing out like this can be an advantage as carp home in on an eye-catching offering. The rigs used to present baits off the lakebed needn’t be dauntingly complicated, but they do require a bit of thought. The weight needed to anchor the bait (either with putty, a split shot or sinker) is a consideration, and popular rigs like the chod and hinged stiff rig require concentration and practice to make perfect. A tub of pop-ups isn’t cheap, but who said all suspended rigs need to be made with boilies? Plastic baits like imitation corn are wonderful carp catchers and will last for session after session, fish after fish. Pop-up boilies are also generally much more durable than feed baits, meaning they can live in your rucksack for years. The vast majority of loosefeed you introduce into the water will collect on the bottom, and with their tough lips and underslung mouths, carp are also used to foraging for natural grub down here. But rig-obstructing debris also gathers on the lakebed, so bottom baits are best suited to clear areas where you know nothing will foul your hook. It’s far harder for a carp to differentiate between a free meal and a boilie attached to a rig if both baits look and act the same. Shop-bought pop-ups cannot, and often do not, attempt to match the sinking boilies you pluck from a bag. With a bottom bait, this potential problem is eliminated and the carp has a far harder choice to make. Bottom-bait rigs are generally simple. We’re lucky to sit here in 2014 with access to the knowledge gained by the pioneering anglers of years gone by. We know that anything mounted on a hair rig is very capable of catching fish. 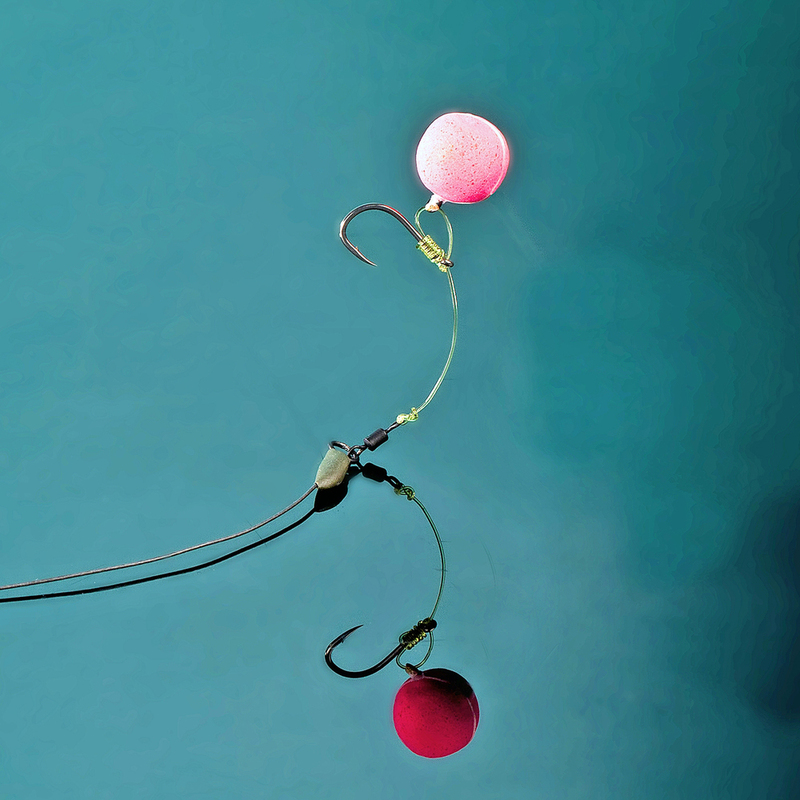 Bottom-bait rigs can be tied in seconds with supple or stiff materials, but they all work. It might be tempting to think popped-up baits are simple, and buoyant shop-bought boilies certainly are, but carp fishing isn’t all about these hardened spheres. If you want to fish tiger nuts, sweetcorn or pellets then presenting them on the bottom is by far and away the easiest way to do so quickly and effectively. What do you get if you cross a sinking bait with a buoyant one? A snowman. No, we haven’t muddled up our Christmas-cracker jokes – one of the compromises between pop-ups and bottom baits is the snowman rig. So called because, well, it looks like one, the snowman features a smaller pop-up mounted on top of a larger bottom bait. The result is a two-bait presentation that sits ‘upright’ on the lakebed, giving fish more chance to see it. The buoyancy also counteracts the weight of the hook, theoretically fooling the fish into thinking the mouthful it has just picked up is not attached to anything. With a bit of tinkering, the two baits can be matched so that they fall gently through the water to rest on any bottom debris. With its soft texture, instant attraction and awesome fish-pulling power, paste is one of THE best summer carp baits. Having predicted a catch of well over 100lb by three o’clock, it looked like Gary Thorpe would achieve this goal in half that time. With his swim almost solid with feeding carp catching them was easy, with hardly a minute going by before his elastic was at its fullfighting stretch. But what had worked the fish into such a feeding frenzy? The answer was a simple one – it was Gary’s paste bait. Neglected by many, and wrongly dismissed by others as being too fiddly to prepare or impossible to keep on the hook, paste is a fabulous bait in the right hands. In fact, Gary believes the anglers who aren’t willing to give paste a chance are making a mistake that’ll cost them a lot of fish. And who would argue with one of the greatest paste anglers in the country and the current World five hour match record holder with a haul of 490lb 8oz of carp? Gary makes his hookbait up from G.O.T Baits ‘The Ton Up Paste’ powder. “I prefer to make my paste from a powder because I can make it as stiff or as soft as I want with the addition of more water, or by adding less in the first place,” explained Gary. “The trouble with readymade pastes is that you are stuck with what you are given, the majority of which are too stiff in my opinion. Empty the contents of the bag into a suitable mixing bowl or bait tub. Start adding water to the mix a little at a time and mix the two together with your fingertips. The mix should become wetter. 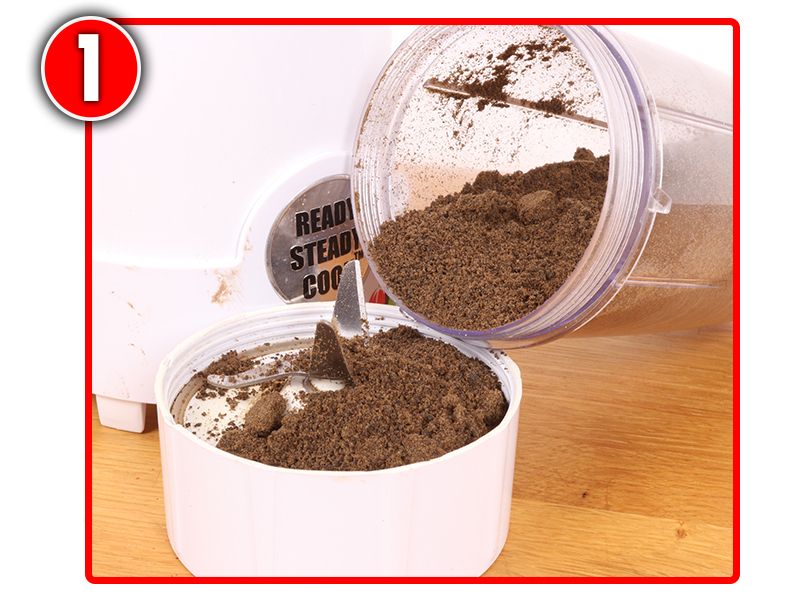 Leave it to stand for 15 minutes to enable the powder to fully absorb the water. The paste is now ready for fishing with. Ideally it should be quite soft but just firm enough to grip the hook. We joined Gary at peg 32 on the prolific Alders’ Farm Fishery Match Lake, where he was setting up a pole and the rest of his tackle for the day ahead. It was a balmy, overcast summer day, with a light southwesterly wind causing an inviting ripple to form across the water. All over the lake there were carp leaping clear of the water, just like returning salmon on a great Scottish river. “Looks like we should have a few,” said Gary. Hooking a rig on to a top-three kit of his pole, Gary added just three more sections to take the pole to six metres. At this distance, Gary plumbs the depth straight ahead of him and explores elsewhere in the swim to the left and the right. “Plumbing up is very important in fishing, but it’s even more important when fishing paste,” said Gary. “The first thing I look for is a level and uniform bottom. It is no good trying to fish paste on a sloping bottom, as the paste will come off the hook and roll away, out of the swim. 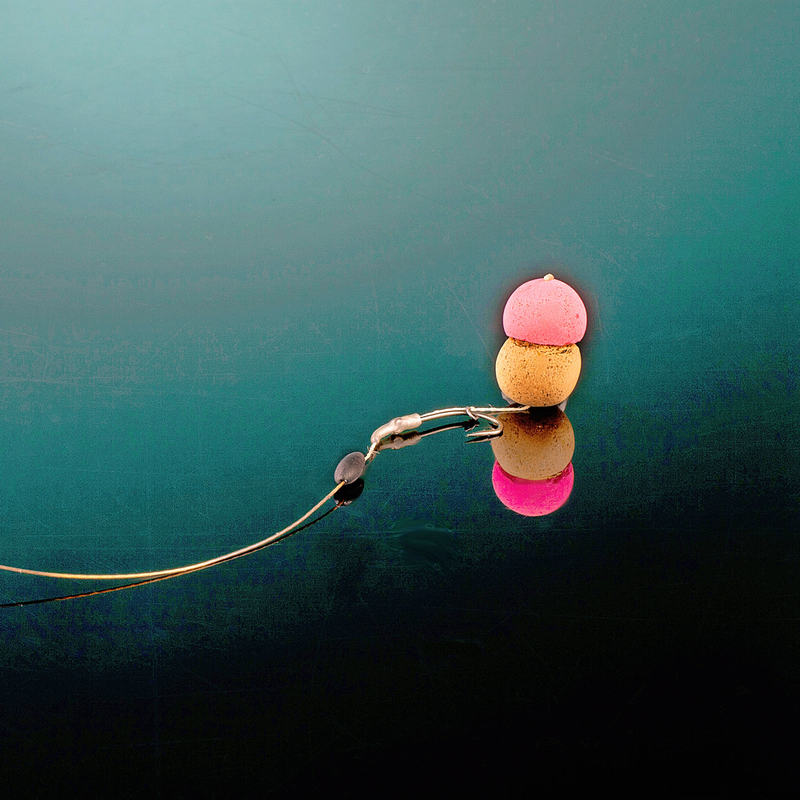 “It’s vital to set the rig at dead-depth (the exact depth of the swim) as you will hit more bites and the paste won’t sink the bristle of the float at this depth. “Fishing at dead-depth also helps to reduce the amount of foul hooked fish, where a fish swims into the line and causes a ‘false bite’ to register on the float. “This can be one of the major problems when fishing with paste, as it really turns the fish on to the feed. The disadvantage of that is they go wild and will often swim into the line and cause a false indication. “Unfortunately, you can’t really stop this happening, but the more you fish with paste the better you’ll get at distinguishing the false bites from the proper ones,” said Gary. As he started to tackle his swim Gary explained the reasons why paste baits are so good at this time of year. Most obviously paste has instant appeal because it has no outer skin. Unlike a boilie or a pellet, a paste bait ‘activates’ the instant it hits the water, pumping out a slick of flavours and oils to attract the fish. A well mixed, soft paste also has a texture fish like to eat, and if you use a big chunk it will also be an obvious target for a passing fish. 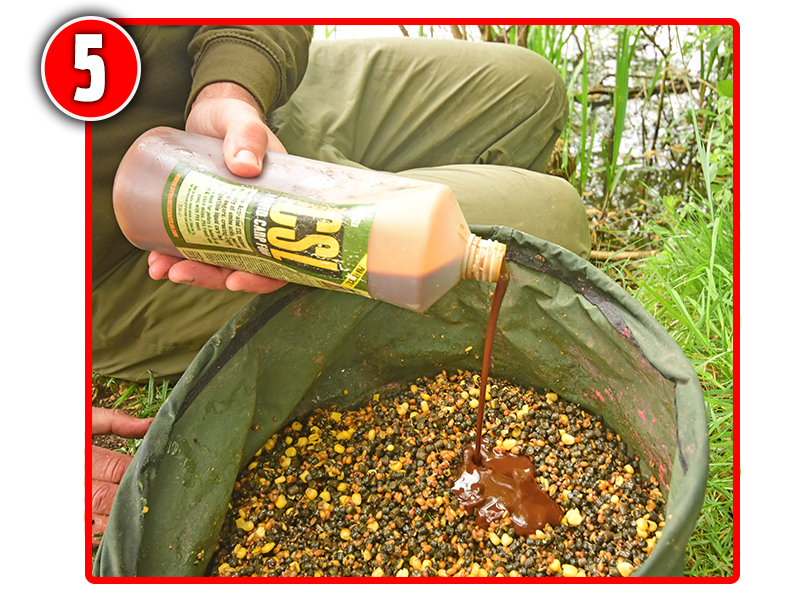 In fact Gary reckons it’s a bait that gives rapid results: “Bites are instant on paste - that’s what I like about it!” he said. “If fish are in the peg, look for a bite within minutes, if not seconds of lowering the bait in. Despite its fish-catching ability paste does have a couple of drawbacks that do discourage some anglers from trying the bait. The first problem many anglers meet is that the bait needs to be very soft to be at its best. This makes it difficult to use on rod and line as it tends to be flung off the hook when casting. It is a better bait for use on the pole. Alternatively, you can use a stiff paste, moulding it around a bead, or paste cage, but in Gary’s opinion the hooking rates aren’t nearly as good with a firm paste. He prefers a soft bait, as it allows him to strike through it and straight into the fish’s mouth with nothing to impede it. Another disadvantage is how time consuming it can be to produce the perfect paste. 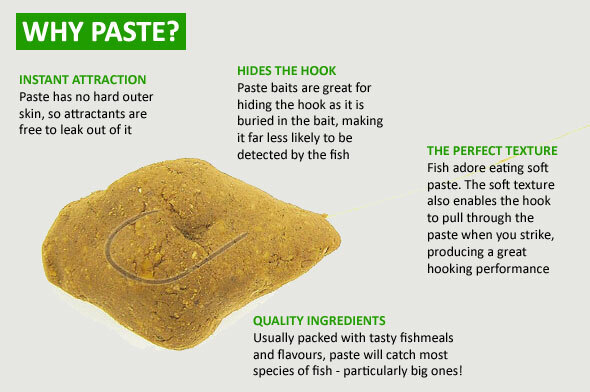 Many anglers who’ve experimented with making paste for themselves have found it very difficult. Lots of anglers have ended up with ruined bait that’s too hard or too soft! Thankfully bait firms have now made many of the commercially available powdered paste products much more user friendly. Some products have mixing instructions marked on the packet, while some paste powders even have a ‘water level’ printed on the packaging to direct you to mix the bait perfectly every time. We’ve rated some of the ready-made pastes, see page 45 for our results. But these slight negatives don’t hide the fact that paste can catch more carp than any bait if you can perfect its use. 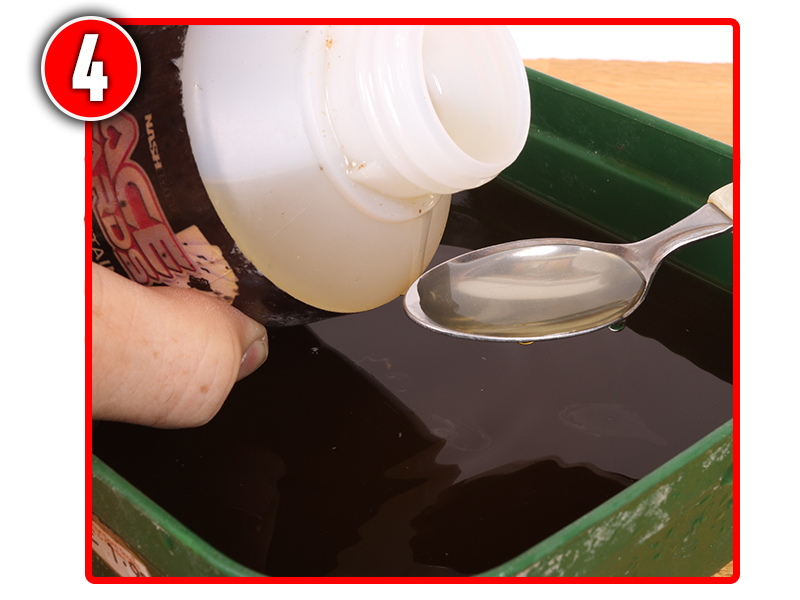 Keep it simple is Gary’s advice when it comes to fishing with paste. 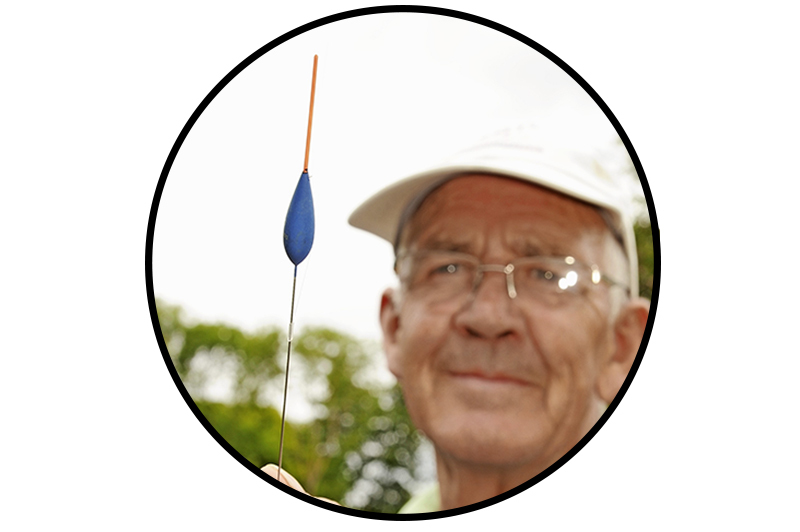 The first step is to select a float with a long, thick bristle that shows little dips of the float indicating a false bite and a longer stem to help make the float more stable in the water. Always pick a float with a fibreglass or carbon stem rather than a wire one, these materials don’t bend like wire does. The line Gary prefers is 7lb 8oz breaking strain (0.18mm) tied straight to the hook. “I’m fishing for a large weight of big fish so the rig takes a lot of stick. Adding a hooklink would create a weak point,” he explained. Gary’s shotting pattern was also simple with a bulk of number 8 shot halfway down the rig. “There’s no need for sensitive dropper shots with this type of fishing as you are just looking for fast, positive bites,” said Gary. The rig was then completed with a strong size 14 Kamasan B911 hook. “Always use a heavy-gauge carp hook when paste fishing,” Gary continued. “You’re doing a lot of ‘carp crunching’, so the hook needs to be able to cope with it,” he added. After plumbing up and cupping in a handful of 4mm pellets and a few chunks of G.O.T Baits Ton Up paste, Gary moulded a large chunk of paste around his hook, put it in a small pot attached to his pole, and shipped out. Holding the pot just above the water, he then rotated the pole to drop the soft hookbait into the lake. After the float settled, it was just seconds before he had his first bite from a feisty 3lb Alders Farm carp. Rebaiting, Gary shipped his rig back out into the water, eager to capitalise on this early success. 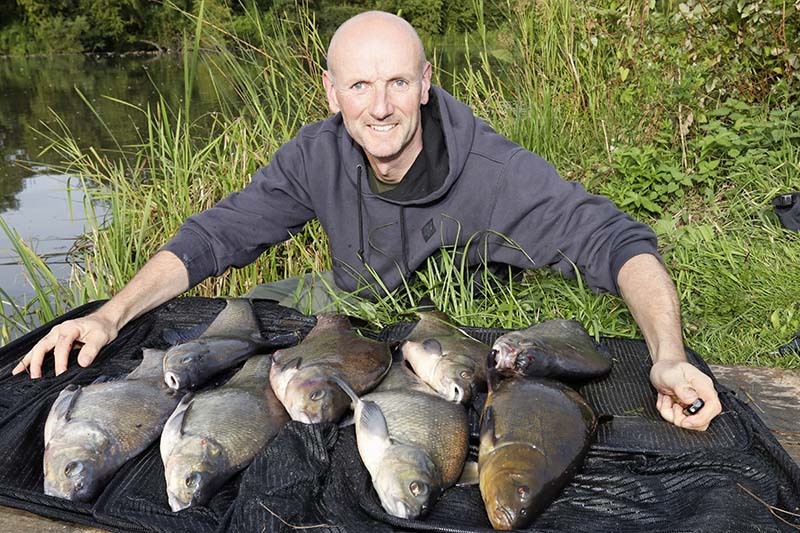 After fishing for 15 minutes, Gary had landed six carp, before the line went quiet – if you can call no bites for five minutes quiet! To restart his peg Gary started flicking out a few pellets at minute intervals. He also began striking the paste off his hook if he hadn’t had a bite within two minutes. “By striking the paste off the hook I’m constantly topping up the swim with free offerings,” said Gary. Within 10 minutes of introducing the feed the carp reappeared and the pattern for the day was established. Almost every put in saw Gary hook a fish of between 3lb and 8lb - the bait was usually taken within seconds of it hitting the lake bed. After just four hours of angling and with his TWO giant keepnets already filled with fish, Gary had amassed a total haul approaching 200lb. It was an incredible performance and gave clear evidence of how good paste is as a summer bait. What’s more, with some of the modern commercial paste mixes reaching new heights of quality there has never been a better time to mould a piece round your hook. If you’ve never tried it make the summer of 2006 your year of paste exploration - you won’t regret it! 1. Take time getting the consistency of your paste right. It should be smooth, with no lumps and should just leave a slight residue on your fingers when you are handling it. 2. Keep it simple. There is no need for complicated rigs or shotting patterns when fishing with paste, let the bait do its job. 3. Try to fish as close in as possible. This makes soft paste a lot easier to fish. 4. Plumb the depth accurately using a plummet. The paste must sit perfectly on the bottom. 5. Feed regularly through the day. On commercial fisheries the fish are hungry, especially at this time of year, so you’ve got to keep some freebies going in on a little and often basis.